Teeth are subject to a lot of wear and tear, so it makes sense to be able to replace them during the lifetime of the animal. Surprisingly, however, the teeth of the earliest jawed vertebrates were fixed to the jaw bones and could not be shed. 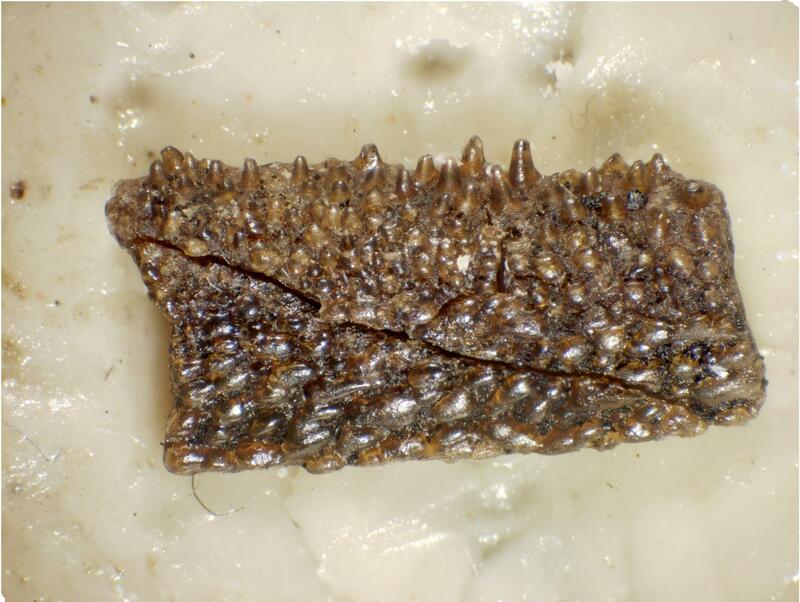 Tooth shedding eventually evolved independently on two occasions, using two quite different processes. In sharks and rays, the fibres that anchor the tooth to the skin of the jaw dissolve and the whole tooth simply falls out. In bony fish and land vertebrates, the developing tooth becomes attached directly to the jaw bone by a special tissue known as "bone of attachment", and when it is time for the tooth to be shed this attachment must be severed; specialized cells come in and resorb the dentine and bone of attachment until the tooth comes loose. That's why our milk teeth loose their roots before they are shed. But when did this process evolve? However, at the European Synchrotron Radiation Facility (ESRF) in Grenoble, France, it is now possible to make tomographic scans that capture the same level of microscopic detail, in three dimensions, without damaging the specimen. Donglei Chen, first author of the study, has spent several years painstakingly 'dissecting' the scan data on the computer screen, building up a three-dimensional map of the entire sequence of tooth addition and loss – the first time an early fossil dentition has been analyzed in such detail. "Every time a tooth was shed, the resorption process created a hollow where it had been attached. When the succeeding replacement tooth was cemented in place by bone of attachment, the old resorption surface remained as a faint buried scar within the bone tissue. I found up to four of these buried resorption surfaces under each tooth, stacked on top of each other like plates in a cupboard. This shows that the teeth were replaced again and again during the life of the fish," explains Donglei Chen. "The amount of biological information we get from the scans is simply astonishing. We can follow the process of growth and resorption right down to cellular level, almost like in a living animal. As we apply this technique to more early vertebrates, we will come to understand their life processes much better – and no doubt we will be in for some major surprises," says Per Ahlberg, one of the leaders of the project.